Already a few days old, but wanted to cover it here as well: Raven SEO Tools launched a new product called Site Auditor. 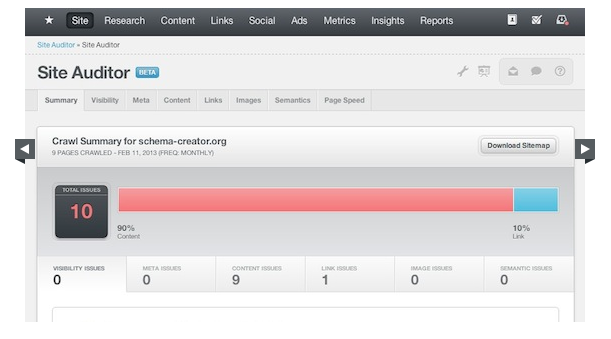 The tool analyzes different site issues and finds errors in the site’s architecture. As with all the Onpage tools it is crucial to hace a certain crawl depth.